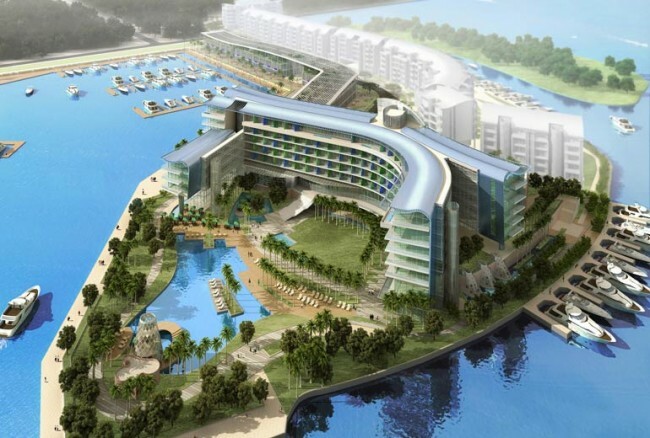 Opening on September, 16, 2012 W Singapore – Sentosa Cove will bring to Singapore the cool, posh perks the W chain is known for. Inside the 240-room hotel are the hotel chain’s AWAY Spa and WET outdoor pool. Designed by Rockwell Group. The Kitchen Table (all-day dining featuring Chinese, Japanese, and Indian fare) and SKIRT (specializing in steaks prepared on a parilla grill, along with fish and organic produce) are W Singapore’s two main restaurants.